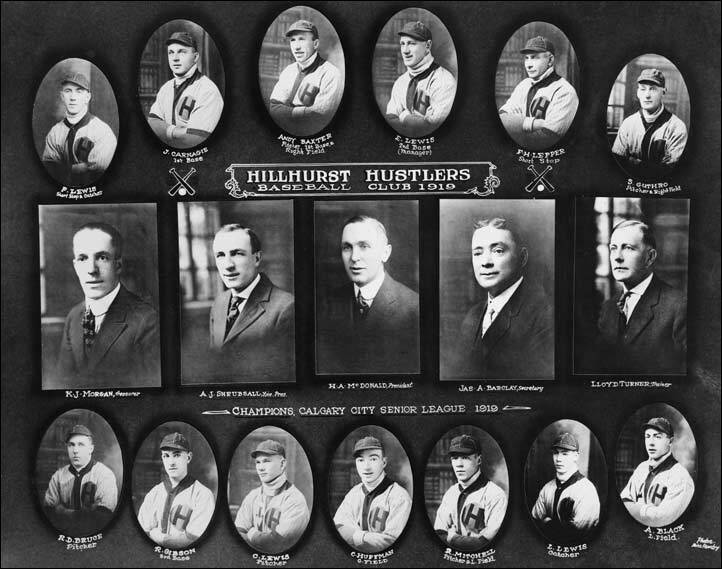 Top row (left to right) - Frank Lewis SS/C, Joe Carnagie 1B, Andy Baxter P/1B/OF, Earl Lewis 2B/MGR, F.H. Lepper SS, S. Guthro P/OF. Middle row - K.J. Morgan Treasuer, A.J. Shrubsall Vice-President, H.A. McDonald President, Jas. A. Barkley Secretary, Lloyd Turner Trainer.